Alta, Norway – the biggest little town in Finnmark (Norway’s northernmost and largest county) is a popular place for travelers both summer and winter. In the winter, people come to have fun in the snow and hunt for the northern lights. 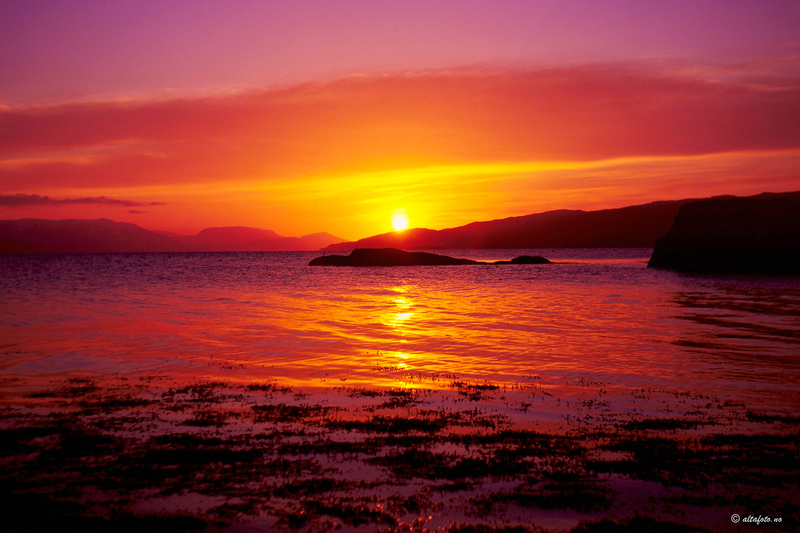 In the summer, the midnight sun is the fascinating phenomenon overhead. The quest to see the midnight sun is much simpler than hunting for the northern lights. The aurora borealis may or may not be in the sky on any given day. When it does show up, it can be strong or weak with no way to really know until you stand outside and wait (see our recent post about that). In contrast, the sun at midnight is there every night. If it is cloudy, then it is simply daytime. Not cloudy? There it is! And we know exactly what days of the year the sun will be over the horizon here all night. While you CAN simply walk out of your hotel at midnight or look out the window to see the sun, why not make the experience a little more magical? If you’ve never spent time in a land without darkness, here are three suggestions to make it more special! 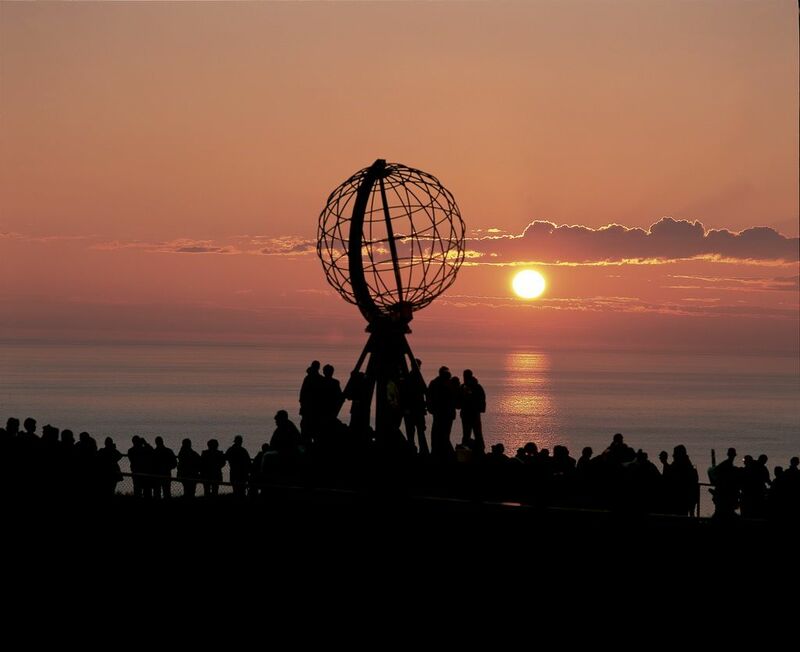 North Cape is an extremely popular destination in the summer. Busloads of people come up every year to this nearly-northernmost point to find “the edge of the world”. It is a very dramatic place to watch the sun dip lower and lower and then come up again, so it is no surprise that so many people come here. Be advised, though, that you will be in the company of a lot of others at midnight, so be prepared for a crowd. If you really want to see the nighttime sun there but want fewer people, consider coming up later in the season. During the first couple of weeks in August, the sun will dip below the horizon in the middle of the night, but you can still find spectacular evening light with fewer people around. Husky dogs and hiking are both big parts of life in Alta. Dogsledding in the winter is both popular with visitors and a way of life for a number of residents. In the summer, the dogs are still here and still eager to get out on the trail. One of the tour providers here in Alta has put together a fun summer tour that’s perfect for blending the bright summer night with unspoiled arctic wilderness. You’ll travel to their husky dog farm, meet the residents (furry and otherwise), and then hike out into the forest with your hosts and a small set of their dogs that wear special packs so they can carry the gear. A late dinner will be served along the way around an open fire. Even if the weather hides the midnight sun, it will be a fun and classic-arctic outing! There are a number of spectacular viewpoints in and around Alta where you can go on your own time and at your own pace. Whether you bring a tripod, the phone on your camera or just your eyes and your sense of adventure, an evening hike through the forest and up to a hilltop will be a memorable experience. If you want a shorter hike closer to town, climb Mt. Komsa, the most popular of the hilltop tours around Alta. It is located between city center and the airport. You can get to the top in a half hour if you are not in the world’s best condition (like me), or quicker if you are fit and motivated. If you want to be further out, but still close to town, you can visit the top of Lille Raipas (between an hour and 1.5 hours from bottom to top) or Borras Vestre (1.5 hours or so from bottom to top)… or… well, any of a dozen others. You may or may not be alone on the mountain at midnight, but if you do have company at the top, it will most likely be just a couple of fellow hikers. And all of these mountaintops have plenty of places to see the fjord, the horizon and the midnight sun. If you need help booking tours or getting to North Cape, do let us know! And if you are just looking for general tourist information (maps of the area, advice on how or where to go, and so on), you can either contact Alta’s tourist office by email or drop in when you are in town (we are at Bjørn Wirkolas vei 11, just across the street from AMFI in city center).